Billy Nelson came to the University of Colorado from Bakersfield, California and has never left. Prior to coming to Colorado he became the 2003 USA Jr. 5k National Champion. He is a 2 x cross country All-American (2002, 2003), the 2002 Big 12 XC Newcomer of the Year, 2003 USA Jr. XC National Champion and a 2003 World XC member. 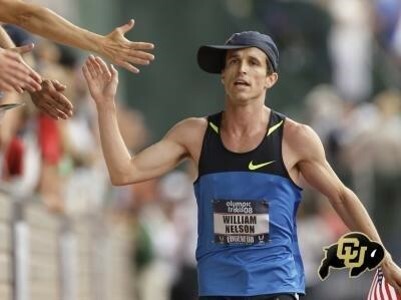 In 2006 Billy became the Colorado Buffaloes cross country team captain showcasing his incredible ability to lead and that same year became the NCAA cross country Team Champion and Indoor Track All-American.